Figuring out the good from the bad is important, particularly when it comes to choosing the best vegan probiotic. While some of the most famous forms of probiotics are dairy based, vegan probiotics supplements can be a great addition to your vegan diet with many potential benefits. There are a number of products on the market that claim to be vegan, but they could include additives and soy, corn or wheat based fillers that may make your gut issues worse. Here are the five best probiotic supplements for vegans. These gummies are a change from the typical probiotic capsule and are deliciously fresh tasting. They are safe for both adults and children and help combat a series of problems like regular gastrointestinal issues, IBS, bloating, gas, and constipation. There are 5 billion live cultures of bacillus coagulans in these sugar free gummies. These supplements are also dairy free, gluten free, chemical free and gelatin free, making the product a very safe vegan probiotic. However, these gummies are not shelf stable and require refrigeration with the lid screwed on tightly. Apart from the hassle of always keeping them in the fridge, they make an ideal choice for people who want the benefits of dairy free probiotics while going additive and vegan free. The orange and strawberry flavored gummies are reported to be particularly delicious and effective in various reviews. They are also very gentle on the stomach, with minimum side effects. These dairy free probiotics are hugely popular among vegan probiotics supplements fans. Each bottle contains 90 capsules which makes them a good investment. With serving size of 1 capsule per day, your bottle can last for a really long time. Deva Nutrition Vegan Probiotic Capsules contain the probiotic bacillus coagulans. It does not require refrigeration and can be easily carried on your travels or kept at your desk, without worrying about them spoiling. This supplement is truly vegan because it is not produced from anything related to dairy. The probiotic strains are very hardy and are known to easily survive the harsh stomach environment. In addition to the probiotics, these capsules also contain FOS (fructooligosaccharides). These are a kind of prebiotics that are known to help bacteria set up their colonies quicker. The healthy bacteria feed on these prebiotics for nourishment. Most customers report that these probiotics are most effective when taken 30 minutes prior to a meal. They feel that Deva Nutrition Vegan Probiotic Capsules are an effective blend of dairy free probiotics and prebiotics to deliver multiple benefits. This particular probiotic is different from your average supplement, because it is in the form of a liquid and not tablet or powder. This makes it an ideal choice for people who are not too keen on swallowing pills or eating gummies. The brand MaryRuth’s is a family-run farming business in the USA. There are only small batches of this probiotic liquid made at any given point of time owing to the small scale of the farm. This choice is completely organic, vegan friendly, and non-GMO because it is made from totally plant-based probiotics, and not affected by dairy and its products in the slightest. It is also free of soy, wheat, and nuts. It is important that you never add the probiotic liquid to anything remotely hot, like coffee or tea. This will kill the live probiotics present in the drops. Make sure you take the drops as prescribed on the bottle for complete benefits. Organic Liquid Probiotics by MaryRuth’s is not recommended for children below the age of 12 and for pregnant women. Doctor’s best is a big name in the world of supplements and probiotic. So, you can be sure that you are dealing with a stellar manufacturer. There are 2 billion live cultures of LactoSpore in each serving. These supplements are completely devoid of dairy and all related products, making them ideal for vegans. Do not let the prefix ‘lacto’ turn you off these dairy free probiotics. The product is completely vegan friendly and lacto is simply describing the probiotic present. They are also free of many added extras such as GMO, gluten, and soy. Each pack contains 60 veggie capsules which should last you a decent amount of time and for the right price this could be a salient purchase certainly when taxes have been lowered. Doctor’s best recommends this supplement for people who suffer from regular stomach upset issues, such as IBS, and for those who want to ensure their overall gut health. Most customers agree that this supplement is as effective as claimed. They also report noticeable improvements in their overall gut health and stomach issues, soon after starting the supplements. Naturetics is a popular choice among vegans and health conscious owing to its huge brand name. The probiotics come in packs of 60 or 90 capsules and do not require refrigeration. It is ideal for people who lead busy lives and are constantly on-the-go. At the time of manufacturing each serving contains 100 billion live culture. However, owing to the depletion in CFUs during manufacturing and storage process, Naturnetics claims each serving to possess 30 billion CFUs at the time of ingestion. This supplement contains some significant probiotic strains, including bifidobacterium and acidophilus. These strains have been known to stand up to the harshness of stomach acids. This ensures that you get live and active probiotics delivered to your intestines. However, you need to be careful with Naturnetics Flora Pro Health Daily Probiotic as with every other supplement. Many customers complain of gas and bloating in the initial few days, but it quickly subsides. This supplement might be too harsh on your palate if you already suffer from these ailments. Every probiotic strain is not the same. 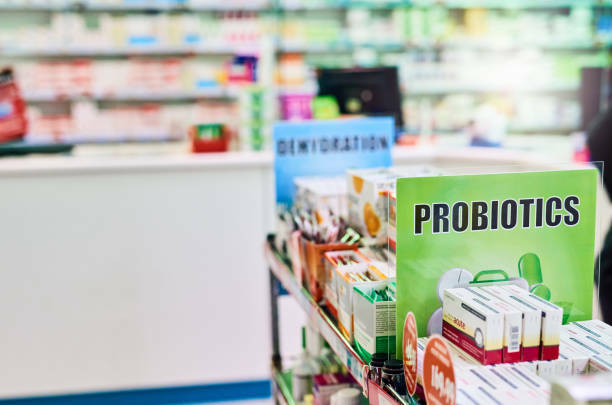 While vegan probiotics supplements are a poignant choice to maintain your digestive health, you need to be consciously aware of the kind of bacteria you require. Make sure the probiotics survive the manufacturing and storage processes. It may be a splendid idea to choose a supplement that has a delayed release mechanism so that the bacteria escapes unharmed into the intestines.